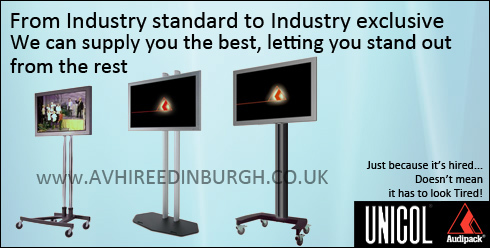 Looking for a Exhibition hire package in Edinburgh? We are a AV hire company located in the centre of Edinburgh, within a friendly retail environment and helpful staff to help you decide on your perfect AV system setup. We have been in the business over 30 years, with that kind of knowledge you know you cant go wrong!. Standard Definition / HD and even 3D.